Apple CEO Tim Cook confronted Uber’s Travis Kalanick about the app’s troubling violations. A New York Times profile of Uber cofounder and CEO Travis Kalanick alleges that the ridesharing app tracked users even after the app was deleted from their iPhones. The process is called "fingerprinting," and allowed Uber's engineers to identify individuals who had used an iPhone even after the device had been entirely wiped. Kalanick and Uber reportedly employed this strategy to combat fraud in China, even though fingerprinting is a violation of Apple's privacy guidelines. To prevent Apple from catching on, Uber "geofenced” Apple’s headquarters in Cupertino, California. This kept employees working out of Apple's base from parsing Uber's code. "The reason? So Apple would not find out that Uber had been secretly identifying and tagging iPhones even after its app had been deleted and the devices erased," Mike Isaac wrote for the Times. However, it wasn't long before Apple CEO Tim Cook learned of the deception, and ordered Kalanick to cease the spying, or Uber would be removed from the App Store. Kalanick agreed; a loss of Apple users would be devastating to Uber's business. This incident is not the first time Uber has been accused of secretly tracking, either: In January 2016, Uber paid a $20,000 settlement with regulators over its "God Mode" tool, which allowed the company to track the location of drivers and users without permission. A former forensic investigator named Samuel Ward Spangenberg alleged that employees used the "God Mode" function to spy on "ex-partners, politicians, and Beyoncé." 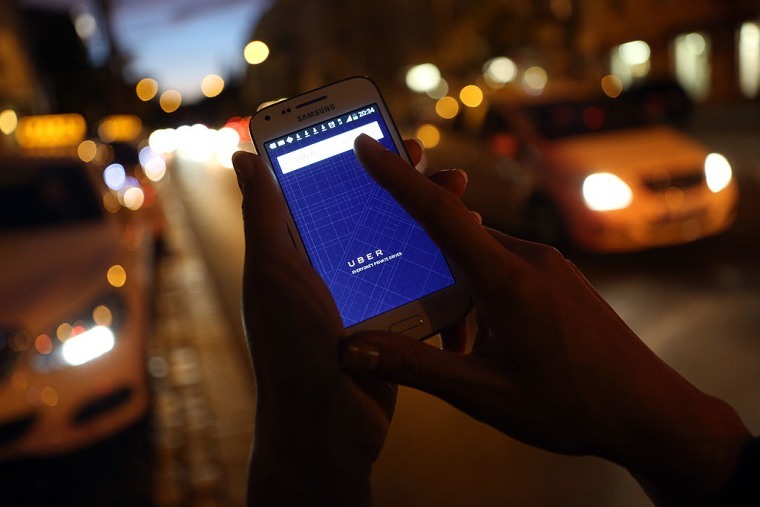 Spangenberg is suing Uber for age discrimination and whistleblower retaliation. Uber has faced a barrage of condemnation in recent months, both at a grassroots level and within the company itself. The #DeleteUber campaign was started in response to Uber's alleged "picket line crossing" of striking taxi cabs, protesting President Donald Trump's Muslim ban at John F. Kennedy airport in New York City on January 27. Almost 200,000 users took down their accounts. In subsequent weeks, Uber employees alleged that the company's workplace culture overlooked incidents of sexual harassment and violent threats, if the individual was a high-performer. A common thread in the complaints and criticisms is Kalanick himself. In March, Kalanick was caught arguing with an Uber driver over the service's low fares, and the impact on drivers. He later apologized and claimed he was seeking "leadership help." For a deep dive into Uber's problems, read "Uber Is Doomed" by Jalopnik's Ryan Felton.